As the use of cloud technology in the workplace increases, it continues to offer businesses a variety of financial advantages. By partnering with a Managed Service Provider (MSP), your company can take full advantage of cloud computing, which will enable your employees to work on the same projects, at the same time, from any location. Of course, many companies are hesitant to embrace cloud computing; it’s especially important, therefore, to take the extra time to understand how cloud technology works and how it can benefit your company’s financial output. #1 You can grow your company. Some of the many advantages of cloud computing is that you can use it to change the size of your business, as it’s flexible enough to meet the ever-changing needs of your organization. Cloud technology can always scale your company’s demands, both up and down, whether that means obtaining additional data storage, gaining access to the newest software updates or something entirely different. A IT provider will constantly monitor the needs of your business and use cloud technology to help you reach short- and long-term goals in efficient, cost-effective ways. #2 Your business will gain access to new, exciting technology. Cloud computing grants you instant access to the latest updates, as soon as they become available. Using the latest technology will give your business a significant advantage over competitors, can help you automate various processes within your company, and will ultimately increase productivity and allow each employee to do their work more efficiently. #3 You can boost cybersecurity. Many CFOs have data security and privacy concerns when it comes to cloud computing. Data loss can happen at any time, whether it’s from employee mistakes, hardware failure, cyber attacks or even a natural disaster. However, one of the main advantages of using the cloud is that cloud environments are built with security in mind and include more redundancy, encryption and the ability to restore data to additional locations more easily than onsite servers. The best part is that the cloud can be accessed from any location with an internet connection, so you never have to worry about getting to your data. #4 You can increase your company’s bottom line. 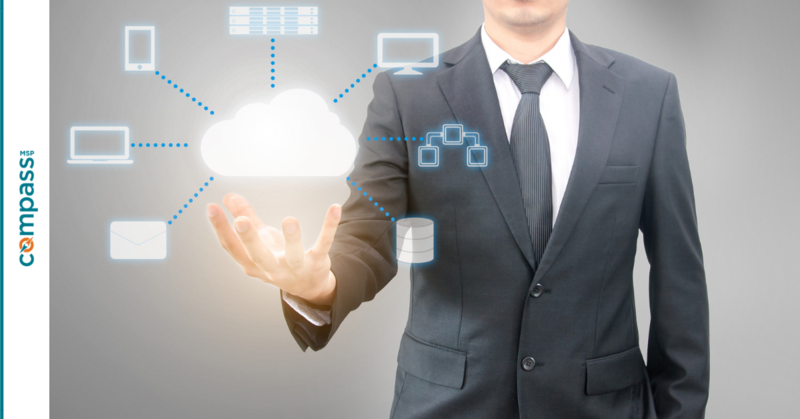 Cloud technology is a great way to minimize costs. Through the cloud, employees can easily work together on the same project no matter where they are or what time of day it is. This added flexibility inevitably sparks productivity and makes the job of each employee that much easier. Add this to the fact that cloud technology is encrypted, as mentioned above—meaning your data is always safe, so downtime will never inhibit company operations—and you’ll find that you have countless opportunities to make money. #5 It allows for data migration. Data migration is a multi-layered process that allows you to transfer all of your company data to another server or storage system, which proves especially useful when implementing or upgrading systems. Migrating data to the cloud isn't always an easy task, so it’s important to partner with a Managed Service Provider that understands the best way to do so without sinking your company into a period of significant downtime. An IT provider will also create a detailed action plan that will limit any interruptions to the key functions of your business throughout the migration. As a leading Managed Service Provider (MSP), one that specializes in comprehensive cloud solutions, CompassMSP aims to help small businesses reach their full potential. Many businesses are faced with the option of using cloud technology, and we want every CFO to understand the positive financial implications it could have for their company. Interested in learning more about cloud computing or what it can do for your business? Feel free to contact us at any time to schedule your FREE consultation.